We create and deliver exciting active events on Okinawa, the tropical islands of Japan and the birthplace of karate. We bring together locals and visitors in challenges that unite the spirit and bring to life the old Okinawan saying – “ichariba chodei” – “Once we meet we are family”. 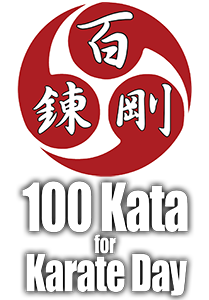 “We specialise in organising martial arts seminars and discovery events in Okinawa. Please contact us to discuss event plans in 2019 and beyond.” – James Pankiewicz, founder and chief karate nerd at Challenge Okinawa! Click thru for the chance of a lifetime!! 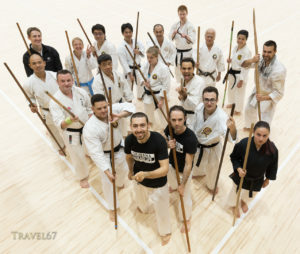 OKNP is once-in-a-lifetime opportunity for young Karate Nerds between the ages of 18-35 to fly to Okinawa and live there for 6-12 months and experience the Way of Karate at its source. We are now accepting applications for 2 new KarateNerds to join the programme in Okinawa from 2H, 2018/early 2019. 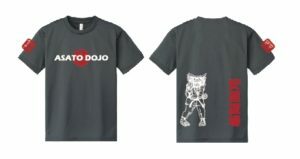 Please click on the Karate Nerd logo above for more info. At Challenge Okinawa! we run a series of unique events that engage and challenge people across the globe. Our events are based in Okinawa but often extend onto the Web enabling you to take part even if you cannot get to Okinawa itself. We passionately believe in spreading the Okinawan spirit of hospitality and friendship to all of you wherever you may be. Today Okinawa is a thriving multi-cultural place with amazing natural beauty and well developed infrastructure. An excellent location for international events with easy access from major travel hubs and a wide range of accommodation options. Yet it still retains a deep cultural heritage that inspires many to visit and discover for themselves. We look forward to welcoming you to Okinawa through our events and programmes. Please visit our Events pages to find out about upcoming events on Okinawa. 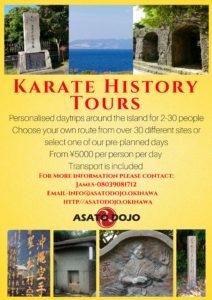 If you are considering visiting Okinawa and running group activities here such as martial arts events, outdoor adventure events or sporting events and would like assistance to deliver them, please contact us. We offer assistance in organising local reservations, arranging transport and accommodation, arranging visits and seminars with local experts and teachers, providing translators and guides and much more. Follow us on Facebook for updates, videos and special offers!